Walk-in baths can be used either as a built in bath or a free standing bath. The tub has a low threshold with a wide inward swinging door that allows easy access for bathers with various mobility constraints. Doors are available with either left or right hand swings and have a large interior closing handle for simple and trouble free closing or opening of the door. 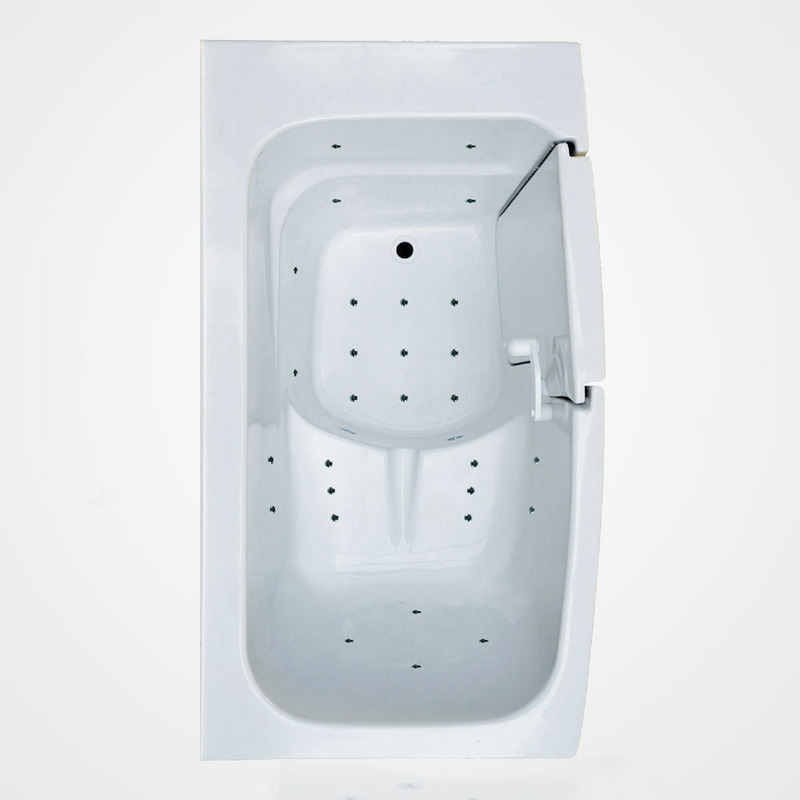 The A 5330 Walk-in Air bathtub’s comfortable sculptured seat was designed with a slightly reclining position that allows for an easy transfer from outside the tub to the bathing area. The textured tub floor is slip resistant for the bathers safety. The tub comes with a free cable drain system that can be opened and closed with just a twist of the drain control located near the top of the tub and drains the tub in less than 3 minutes. Optional panels are available for both ends of the tub. End panels eliminate the need to frame and finish the bath’s ends and also provide additional access if service is ever required (NOTE: the front of the bath has a service panel). All panels clip or screw to the bath and can be easily removed. An optional extension panel can be ordered to facilitate the replacement of a standard 60″ tub/shower. 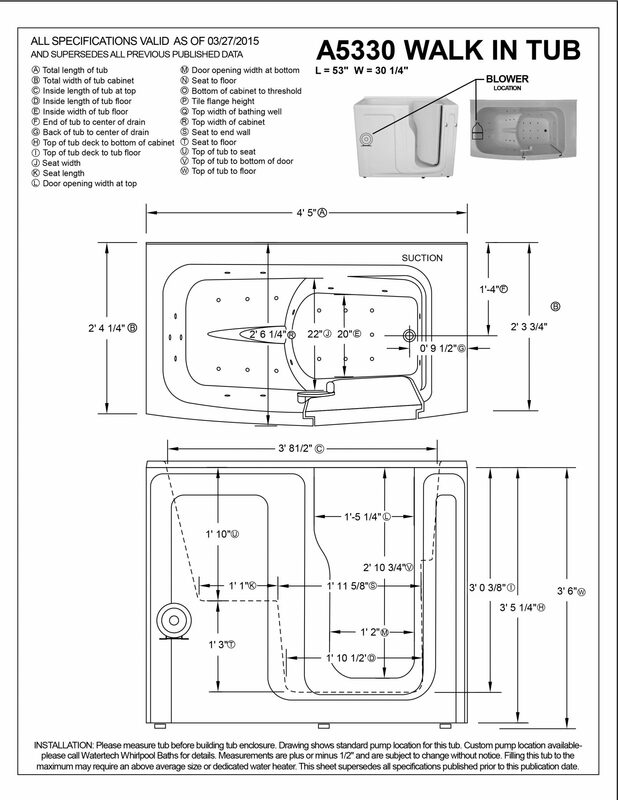 See our accessories page for details on the end panels for the walk in tubs. There are adjustable feet for easy installation, optional end panels to allow any tub to be installed as a free standing bath and a 1 inch tile flange incorporated into the back of the tub. The baths deck on the front end of the tub has ample space to mount a faucet and hand held spray. The tub has a lifetime warranty and is made entirely in the USA.